1. 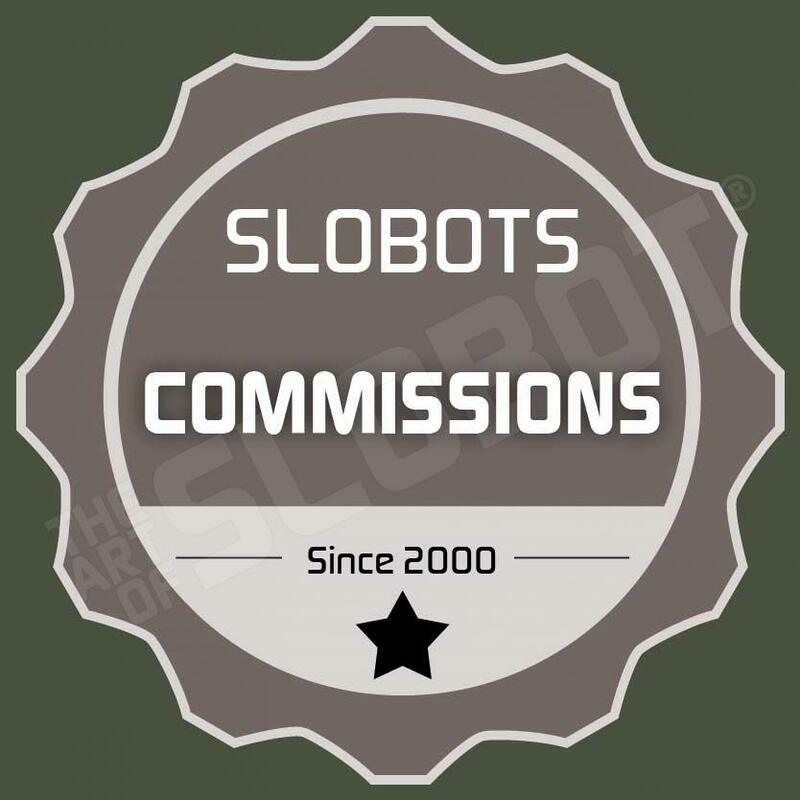 First up you gotta give Slobot Studios a ‘LIKE’ over on their Facebook page HERE, and then while you are at it, give SpankyStokes a ‘LIKE’ on our page HERE as well… and then ‘LIKE’ and ‘SHARE’ this post HERE! 2. Next, just head on over to Twitter and give Slobot a follow HERE, as well as SpankyStokes a follow HERE and then send out this tweet: “I just entered to win a massive custom one-off 14″ tall @Slobot Trexi custom on http://alturl.com/2942s You should enter too! #SpankySlobot” – just copy and paste the above sentence, without the quotes of course and be sure to include #SpankySlobot because that’s how we track your entry… enter only once this way please. 3. Finally, this one is for all you Instagram heads… visit the SpankyStokes Instagram page HERE and the Slobot Studios page HERE – FOLLOW us… then find the photo with the images that you see above, follow the instructions in it. Make sure to re-post the photo, and hashtag the re-posted photo with #SpankySlobot – only enter once this way as well… this is gonna be fun!!!! Now, each one of those steps is an entry… so if you do all of them, you get 6 entries!!! 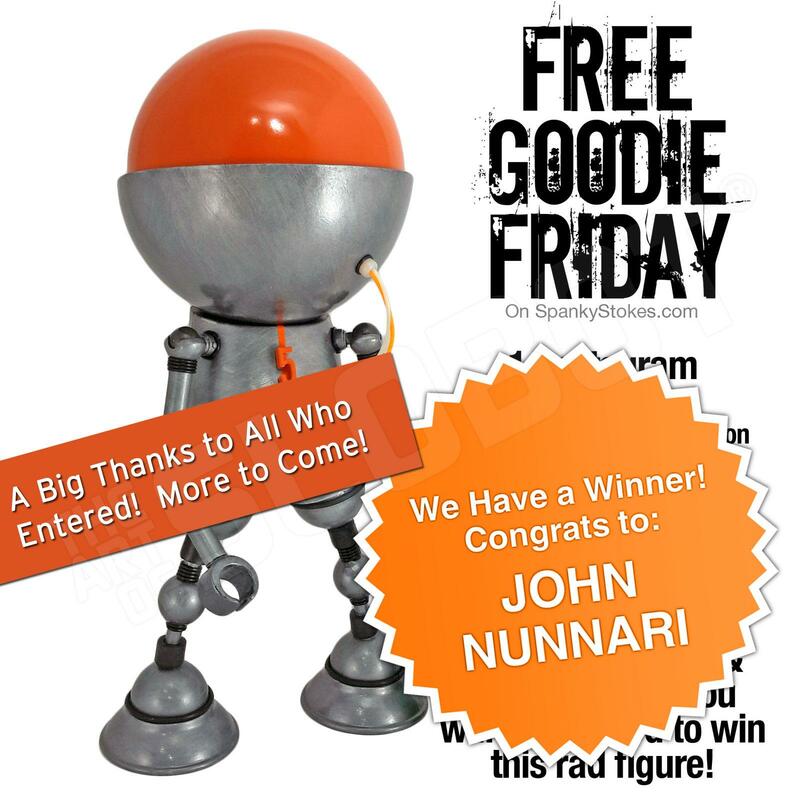 This contest will end Monday night 1/27/2014 at 10:00pm so you only have a few days get your entries in, after all is said and done, one lucky winner will be chosen at random and will have this awesome figure sent out their way – all we ask is that if someone wins out of the country, you pay for the shipping, not too shabby! Good luck to all that enter. 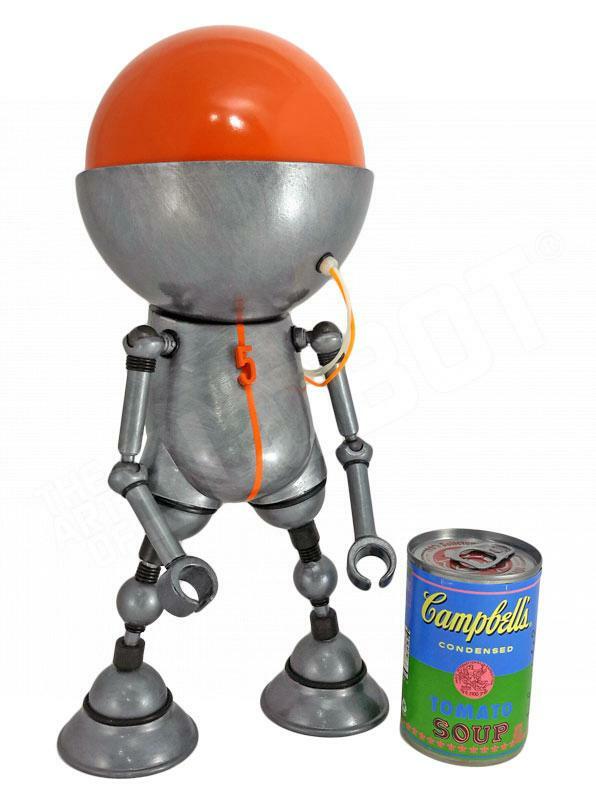 Note – the giveaway is for the slobot only, not the Campbell’s Soup Can – that’s just for size reference.